Kat Von D Beauty has now launched their Holiday collection for the 2017! I will continue to update this post, as well as other holiday collections, throughout the season if new sets become available. 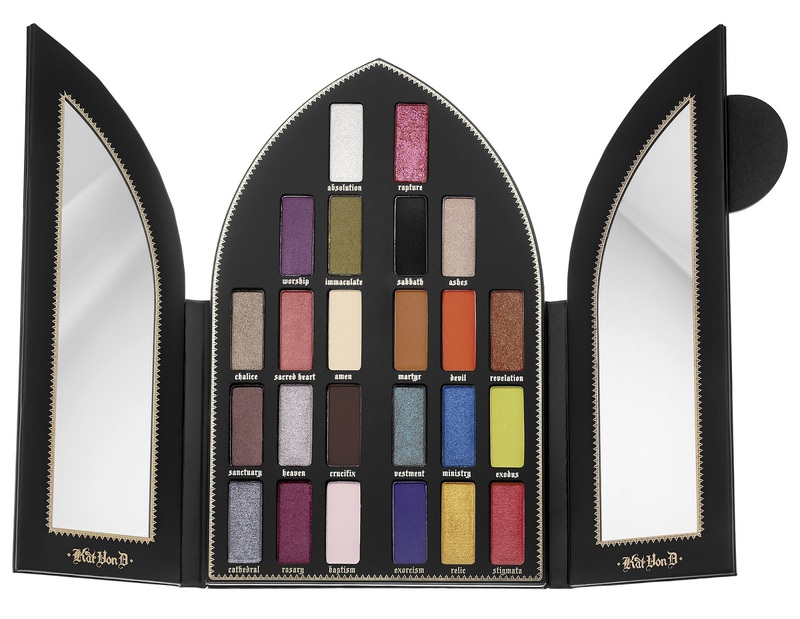 "The Saint + Sinner Eyeshadow Palette features 24 pigment-packed shades inspired by the kaleidoscopic stained glass windows of old world gothic cathedrals. Embrace your softer side with 12 saintly shades—dreamy, wearable, and effortlessly romantic. Unleash your inner Sinner with 12 bold color pops—empowering, unexpected, and insanely pigmented. Experience divine dimension with three fearless finishes: electrifying metallics, velvety mattes, and shimmering pearls, plus two new special effect glimmer shades. Rightfully placed at the peak of the palette, these transformative super-glimmer shades amp up any eye look with prismatic micro-pearls that catch the light with every movement. Each cushiony shade is blendable and buildable. 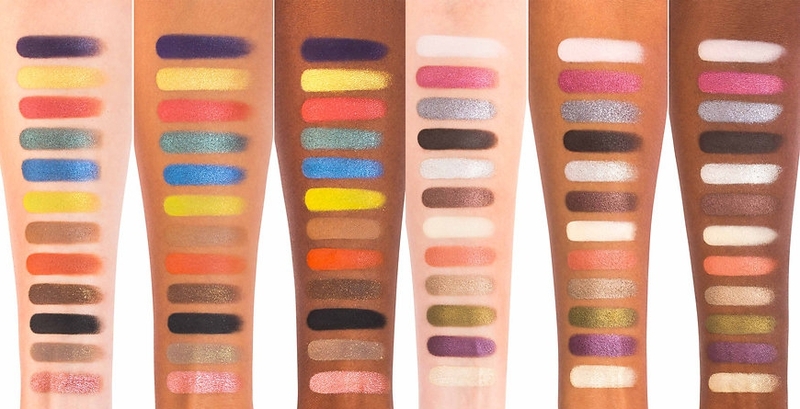 Kat Von D’s signature high-performance, long-wear eyeshadow formula creates next-level eye looks that deliver major impact. Whether you’re feeling saintly, sultry, or a little of both, you’re sure to find endless inspiration within this show-stopping palette of epic proportions. Available in stores 04/10." 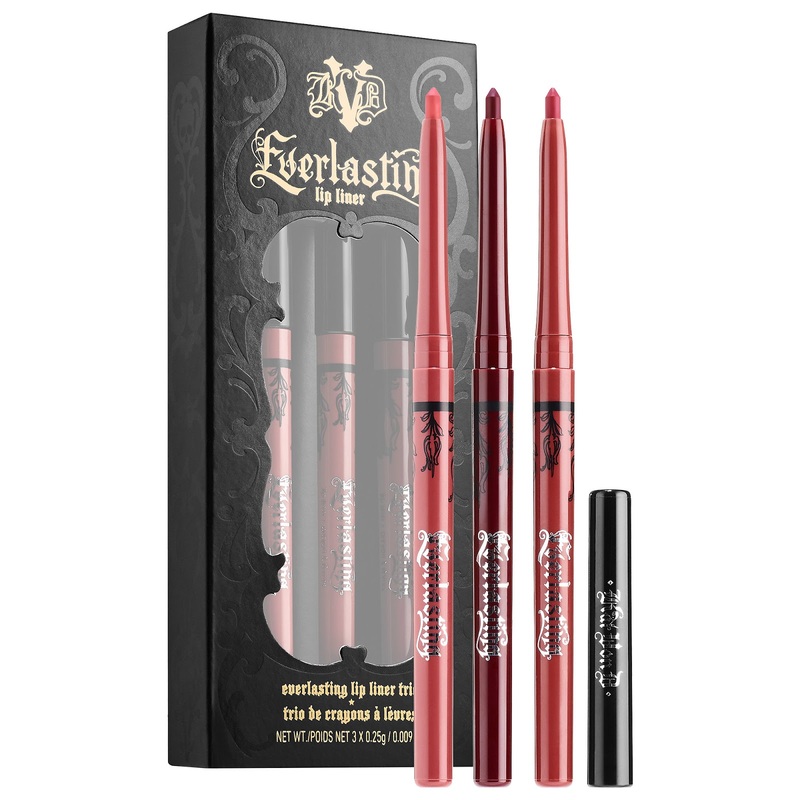 "This exclusive lineup of Kat Von D’s bestselling Everlasting Liquid Lipsticks is the ultimate collection of next-level neutrals for every mood, skin tone, and attitude. Discover a beautiful balance of divine nudes and rebellious statement shades, plus Madrid, a new, exclusive shade available only in this limited-edition set. Mix and match to create one-of-a-kind combinations, or rock any shade on its own for velvety matte color that won’t wear off. 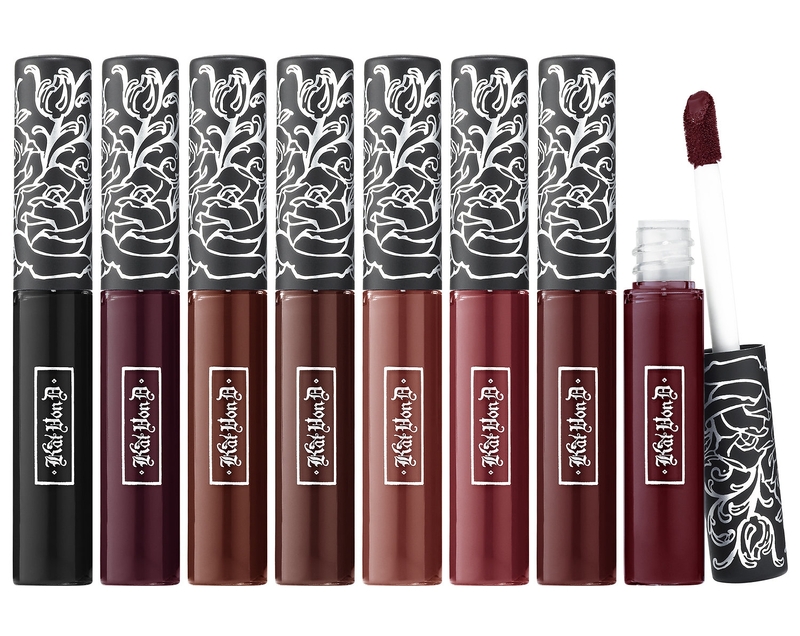 Everlasting Liquid Lipstick’s breakthrough formula gives lips long-lasting wear and high-pigment color. Its creamy, color-rich formula glides over lips like a gloss but dries to a true matte finish that feels weightless all day long. It’s infused with natural ingredients—including vitamin E and sunflower seed—so you can flaunt lasting matte color that leaves lips feeling comfortable. $73 USD / $87 CAD Value." "Line, design, and define with a creamy, 24-hour wear lip liner unlike any other. This triple-threat set features three of Kat’s most beloved neutral shades. These cult-favorite shades are insanely versatile and flattering on every skin tone. Swipe on any of these pigment-packed shades alone, or pair with the Kat-curated shades in the coordinating Everlasting Mini Liquid Lipstick Set. Kat has pushed the limits of performance and experience to combine 24-hour, water-resistant wear with a weightless glide formula to offer ultimate pigmentation, immediate dry down, and effortless definition. Just like its liquid lipstick partner in crime, this liner is so comfortable it feels like nothing at all. Say farewell to dryness, skipping, and dragging for good. $54 USD Value." "A giftable duo featuring Saint Eau de Parfum travel spray and new, exclusive Everlasting Liquid Lipstick shade, Saint. Embrace your inner Saint with a fragrance and lipstick match made in heaven. The peachy rose shade, Saint, perfectly captures the romantic essence of the fragrance—and you can only get it in this limited-edition set. 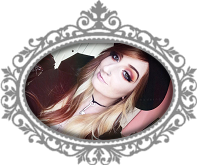 Kat created this shade in honor of the return of the beloved Saint + Sinner fragrance collection. Discover Saint Eau de Parfum’s dreamy and alluring scent, with notes of warm vanilla, jasmine petals, and musk—it’s the perfect candied floral fragrance. Saint is a poetic exploration of the lesser-known, softer side of Kat Von D. Everlasting Liquid Lipstick’s breakthrough formula gives lips long-lasting wear and high-pigment color. Its creamy, color-rich formula glides over lips like a gloss but dries to a true matte finish that feels weightless and comfortable all day long." "A giftable duo featuring Sinner Eau de Parfum travel spray and new, exclusive Everlasting Liquid Lipstick shade, Sinner. Unleash your inner Sinner with the ultimate fragrance and lipstick power duo. The midnight plum shade, Sinner, perfectly captures the sultry essence of the fragrance—and you can only get it in this limited-edition set. 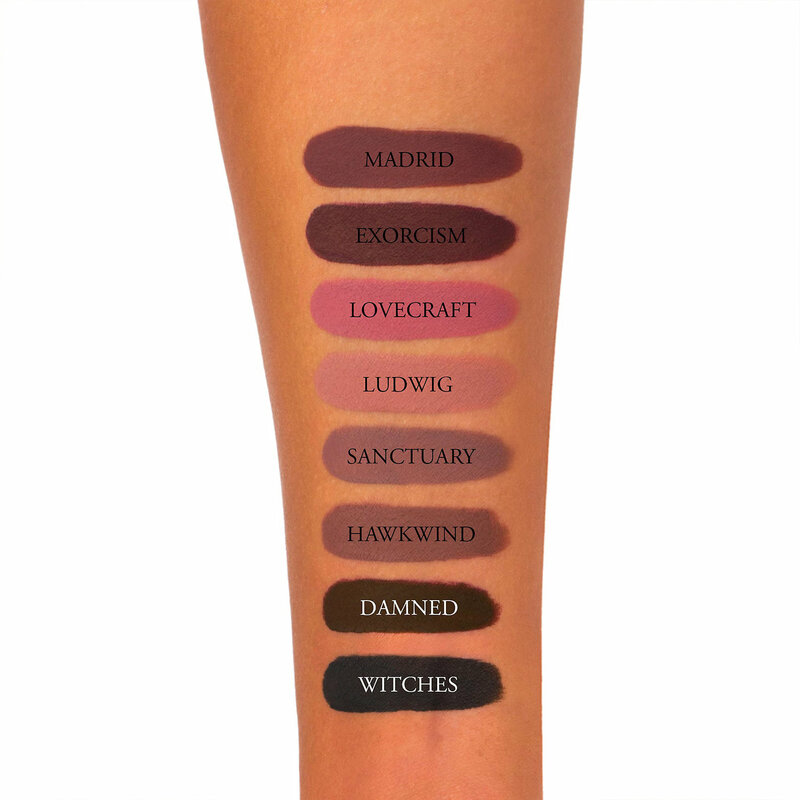 Kat created this shade in honor of the return of the beloved Saint + Sinner fragrance collection. Discover Sinner Eau de Parfum’s dark and empowering scent, with notes of patchouli, wood, and cinnamon—the perfect spicy floral fragrance. 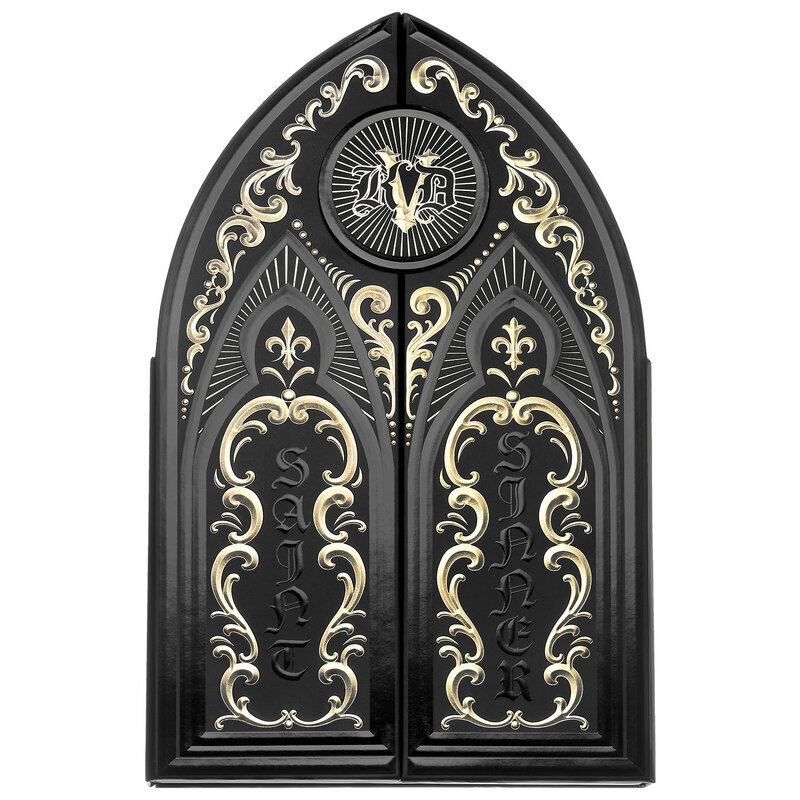 Sinner is the fragrant embodiment of the edgy, unapologetic, and outspoken Kat Von D we know and love. Everlasting Liquid Lipstick’s breakthrough formula gives lips long-lasting wear and high-pigment color. Its creamy, color-rich formula glides over lips like a gloss but dries to a true matte finish that feels weightless all day long." Free Grande Cosmetics Mascara Mini, use code LIVEGRANDE while supplies last! Free Too Faced Lip Injection Lip Gloss Mini, use code GLOSSUP while supplies last!